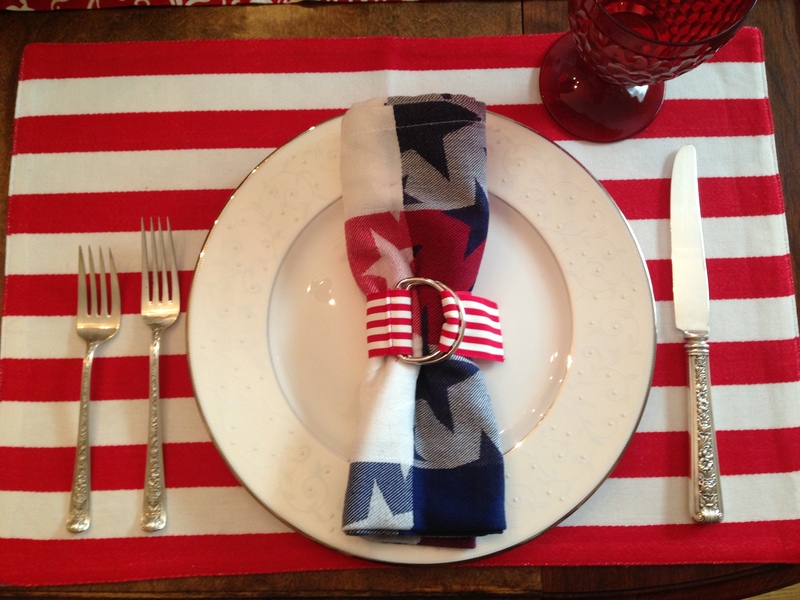 Here is my patriotic, stars and striped-themed table setting for the fourth of July. 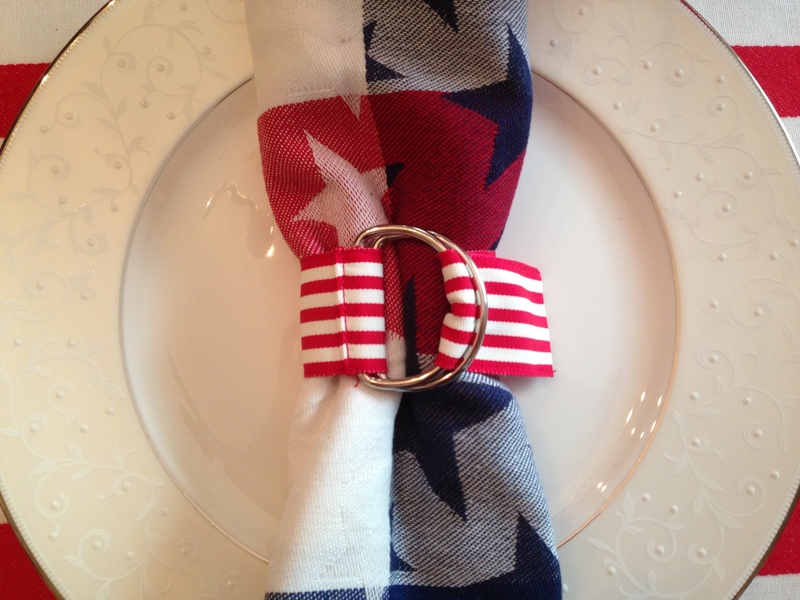 These reversible red, white, and blue placemats, dinner napkins, and striped napkin rings are all from One King’s Lane. 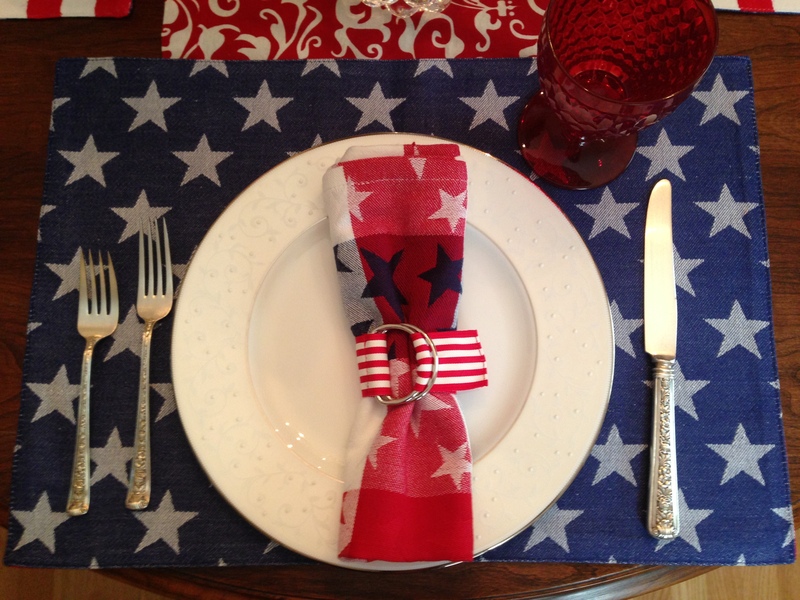 The table runner is from Hen House Linens-the pattern is called devine scarlet. The stemware is vintage Villeroy & Boche Boston Red (Ruby) Claret Wine glasses (eBay). 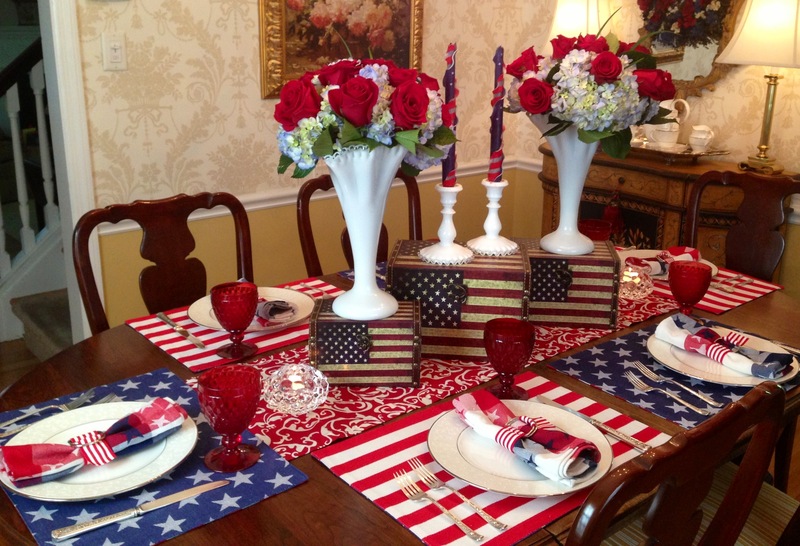 The foundation for the centerpiece is a trio of American flag-themed decorative boxes from One Kings Lane. 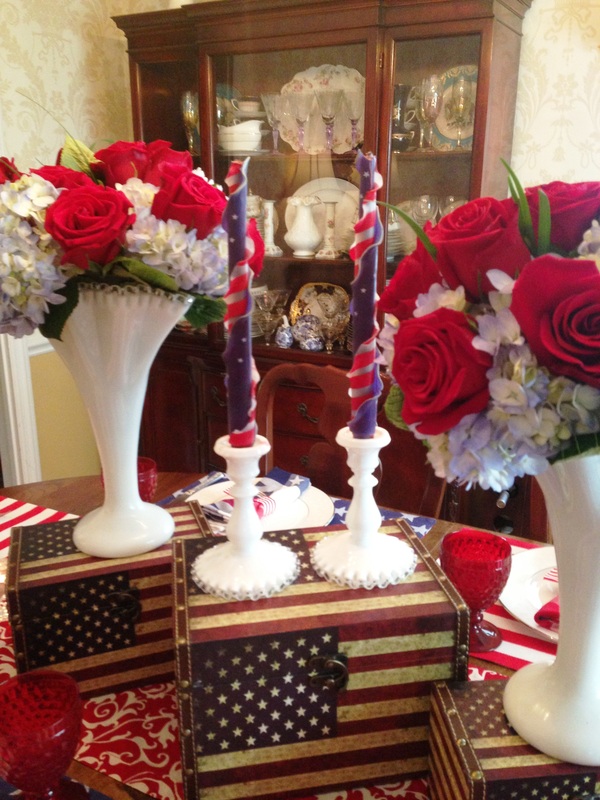 On top of the boxes are a pair of Fenton silvercrest trumpet vases filled with blue hydrangeas and red roses and matching Fenton candlesticks with American Flag-themed Del Mar candles. I love the table! 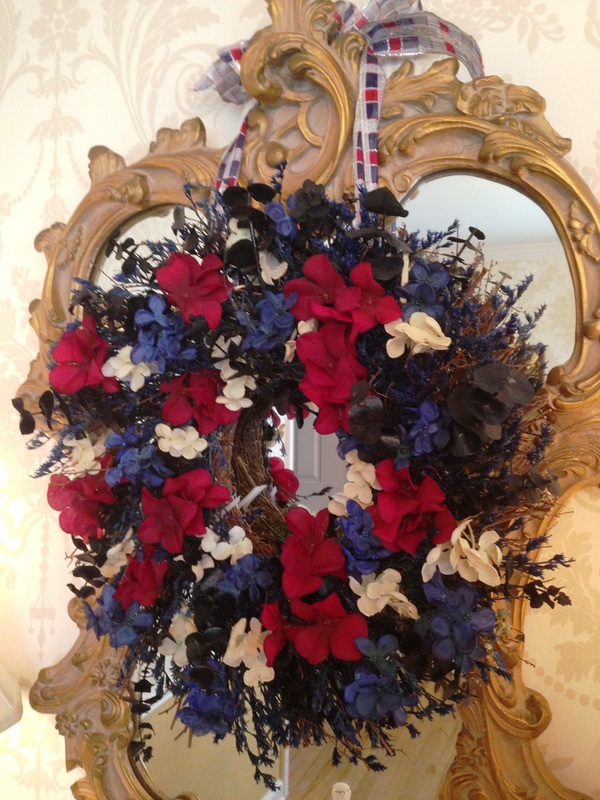 Festive and patriotic with an elegant feel! Beautiful!! 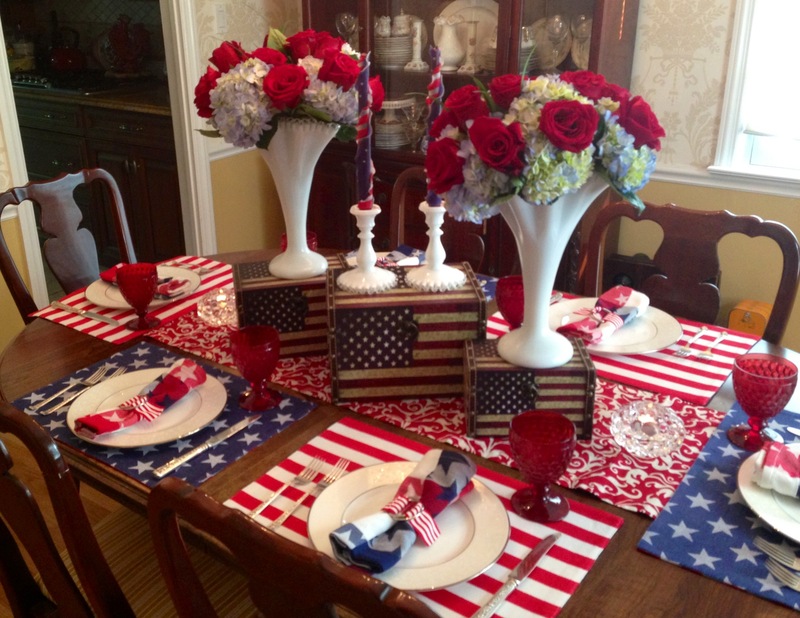 I love your Patriotic table. So appropriate for the 4th of July. 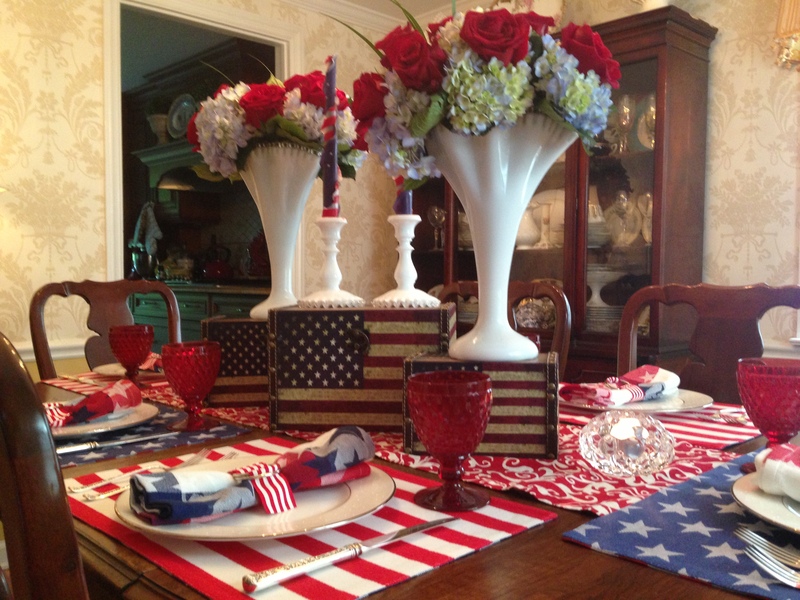 How pretty your red white and blue table is today! 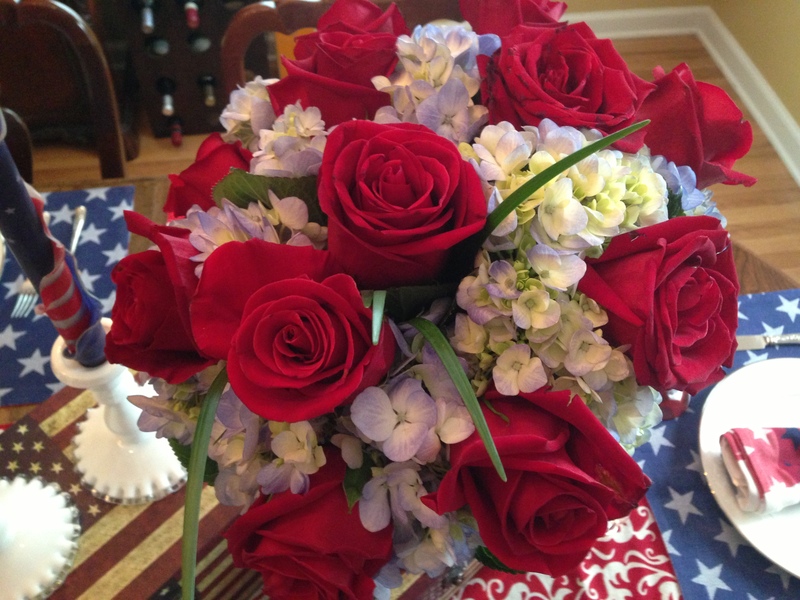 I’m always looking for holiday inspirations thanks for sharing. 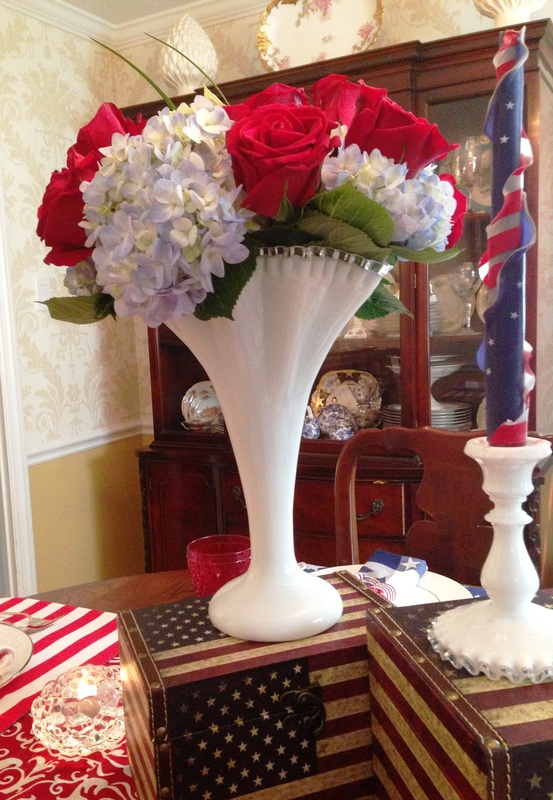 Love your pretty milk glass and your stunning bouquets! Beautifully set.